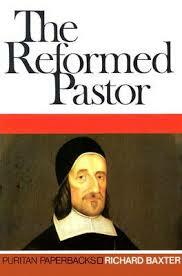 I read Richard Baxter’s The Reformed Pastor several years ago and as I read it I underlined a number of sentences, as well as wrote wow, ouch and many other words due to the insight Baxter offered. If you haven’t read it I’d encourage you to do so. To make it easy I’ve uploaded The Reformed Pastor as a FREE pdf so you can open it and save it because I’m certain you’ll need more than one sitting to digest all of the wisdom contained in this book. Enjoy!